Replacement Compact Tractor, Lawn Mower and Utility Vehicle Seats for Kubota. We have a variety of water and corrosion resistant vinyl bucket seats, seat assemblies, and seats with air or mechanical suspensions. 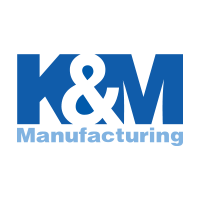 Our high quality seats are manufactured by Concentric, Grammer, K&M, Milsco, Pilot and Seats Inc.
Also available for our Kubota Seating options: Armrests, Lap Belts, Operator Presence Switches and Retractable Seat Belts.